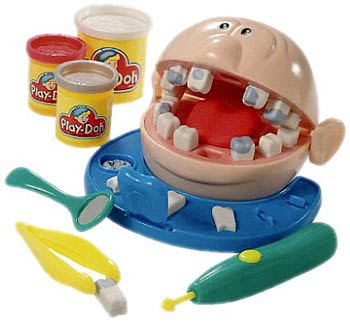 How come I never knew about the play-dough patient?? He looks like fun. Hope this week is better for you! Jessie-Yay! I hope you get it sold quickly! That will be one less worry for you. Amber-That really is a fun game. There was a version of that one when I was a kid. Tsuki-It is not fun, is it? Mine is starting to feel back to normal today. Ouch, ouch, ouch... two and 1/2 hours???!? ouch! ..and that poor plastic patient! When I first read this, I was so jealous, b/c I thought it meant you got to play with play doh all weekend! But now that I see it was dentist- AGH! SO SORRY! The dentist is my biggest fear!